Sorry, I’ve been tardy! But my hands have been a bit full. They still are, actually, so this is just a quick note to say that Little M was born on Monday, breech until the end and bottom first via Caesarean section, at 11:02am weighing 6lb 2oz. I’ll try and catch you up on our first week on Monday, but I’m not making any promises as time seems to have lost all meaning! 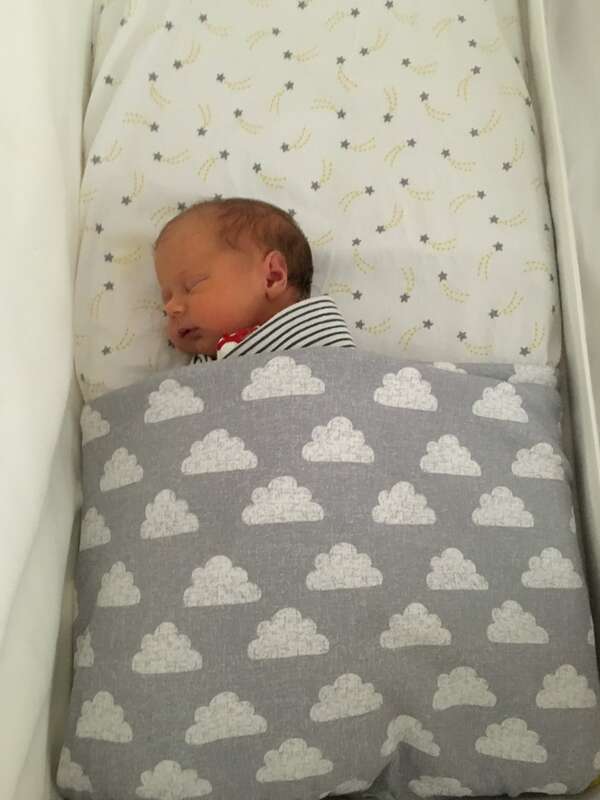 "The first week of motherhood "
"Meet the Parents – Advice for New Mummies and Daddies with Forget Me Knit"
Congratulations! What a beautiful little girl hope you are both well? I love the bed sheets! Congratulations! Enjoy he & good luck.